Lubrication solutions, how to choose the Right Lubricants? 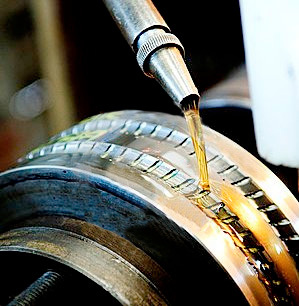 Industrial and automotive equimpent and machines can show the optimum performance when they are properly lubricated. Selecting the right lubricant is the first step towards lubrication excellence. We providing technical trainings in automotive and industrial lubricants sectors, proper machinery lubrication and oil sampling. If you aren’t using the correct lubricant, you could be doing your equipment more harm than good. and our profesional technical engineers will be happy to assist You to choose the right lubricants and lubrication methods.